Good Friday morning y’all! I’m a bit behind on my blog posts, but hope to get to it this weekend! Some fun things have happened and some fun things are in the works with the horses. We have had a little drama, but nothing a big fat vet bill didn’t fix (insert eye roll here). In the meantime, enjoy some pics from the farm from the past couple weeks. 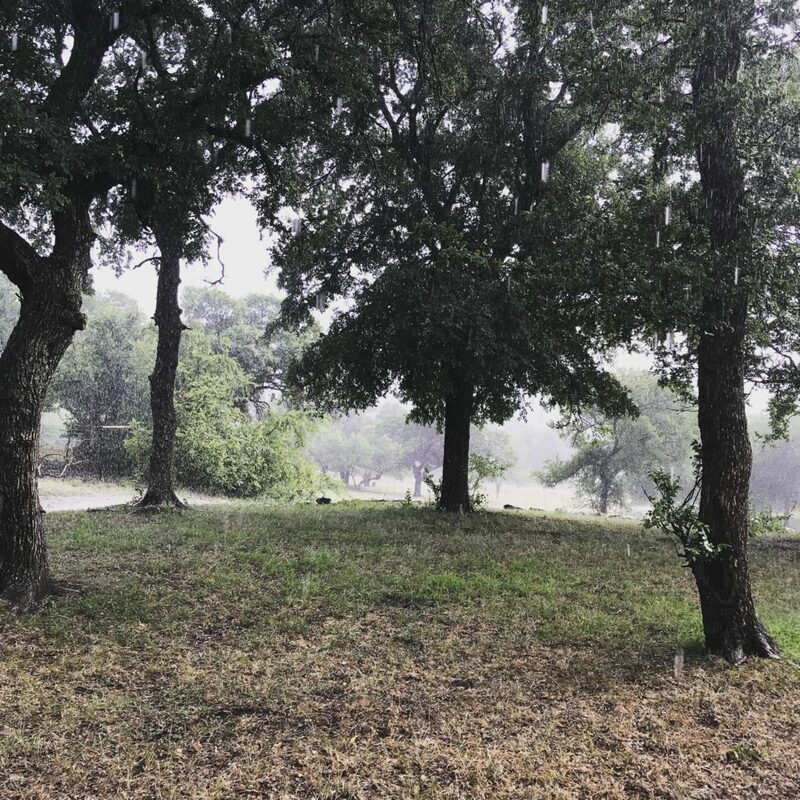 We are a good 3″ or more behind on our average rainfall so it was pretty exciting when we got a non-forecasted quarter of an inch in early June. I can’t help myself, but take pictures when it rains. The surprise goat kids are growing quickly. 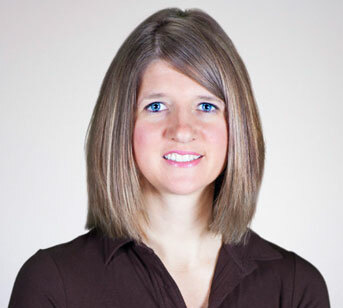 They are both white, but I can tell which is which by the skin color on their faces. Hansel’s is black and Gretel’s is pink. I think it is adorable that they are more or less pink and blue. 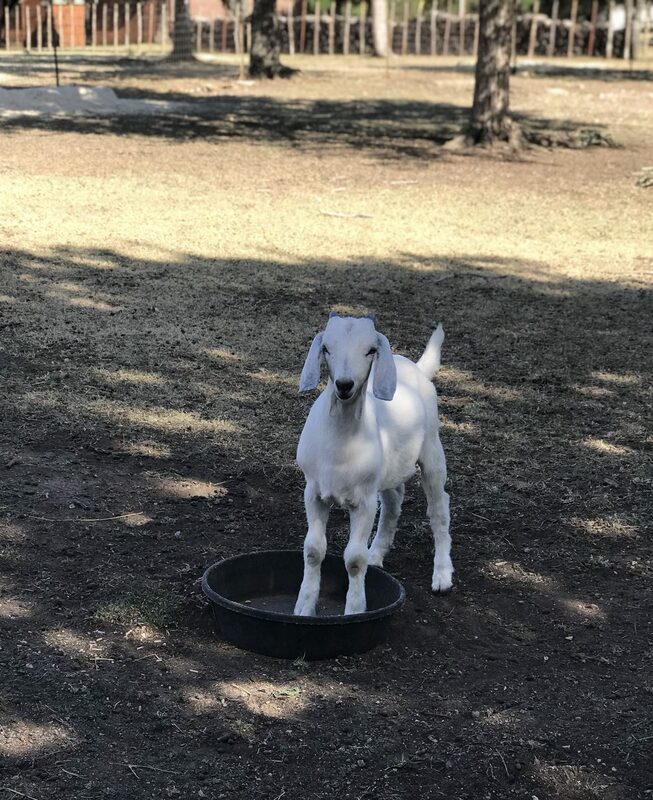 Baby Hansel Goat plays in his feed pan. Kids! 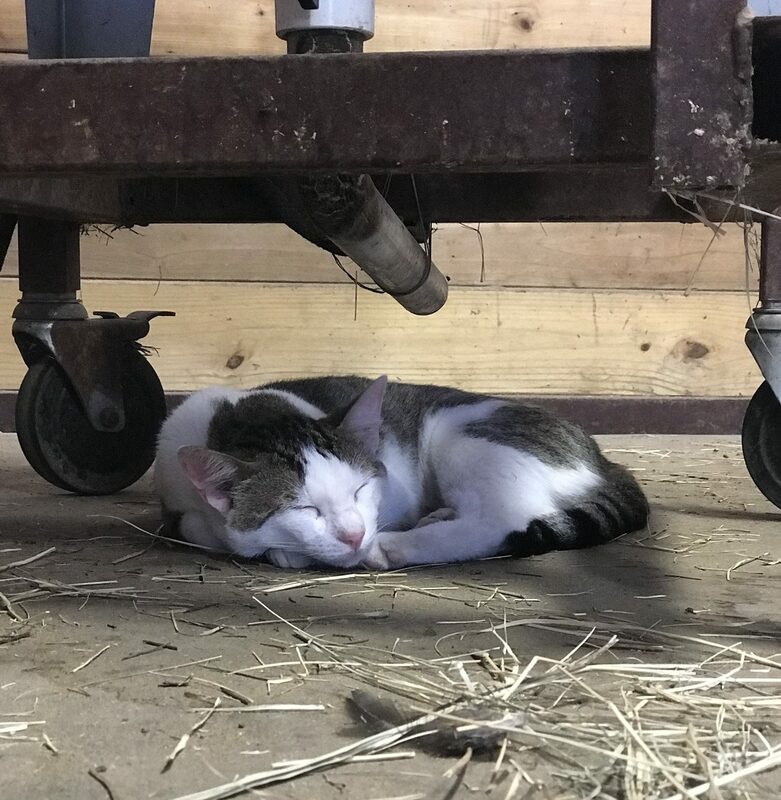 Our sweet barn kitty napping under the hay soaker. He’s absolutely the sweetest cat I’ve ever had. True to barn cat form, though, he’s been leaving bits and pieces of his kills in the barn aisle. I turned on the lights yesterday morning to find a bunny head and other various sundry parts. Gross! 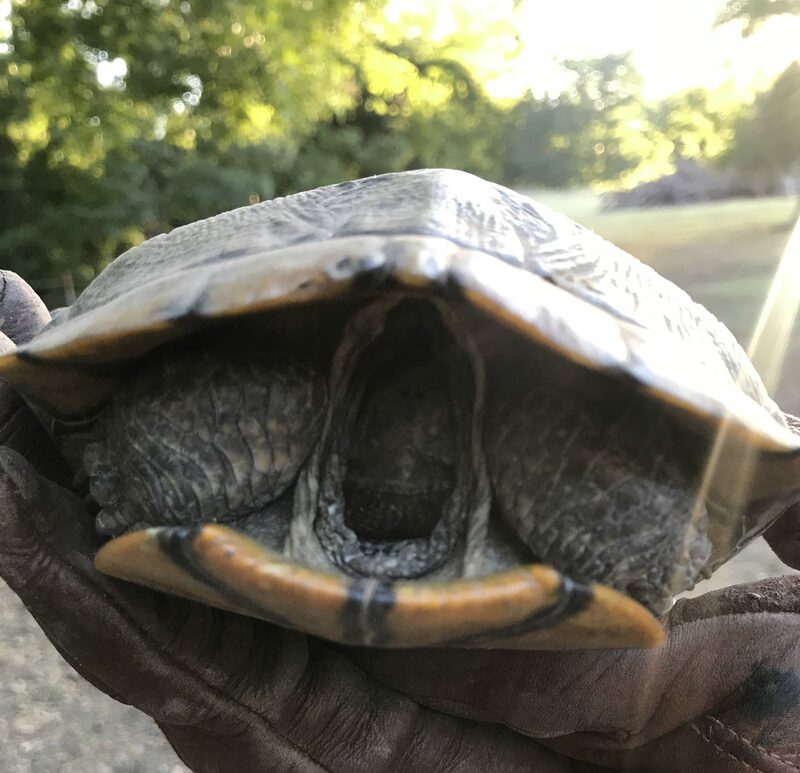 Boot City and I have been diligently patrolling the pasture to pull up sticker weeds and the other evening we came across this cute box turtle. He/she wasn’t very social, though. We released it on our neighbor’s side of the fence, away from our dogs and on his/her way to some water. When I left for work this morning I saw this snugglefest in the corner of my eye and had to snap a photo! It’s funny to see a 100lb sighthound snuggling with a pink squeaky bear. 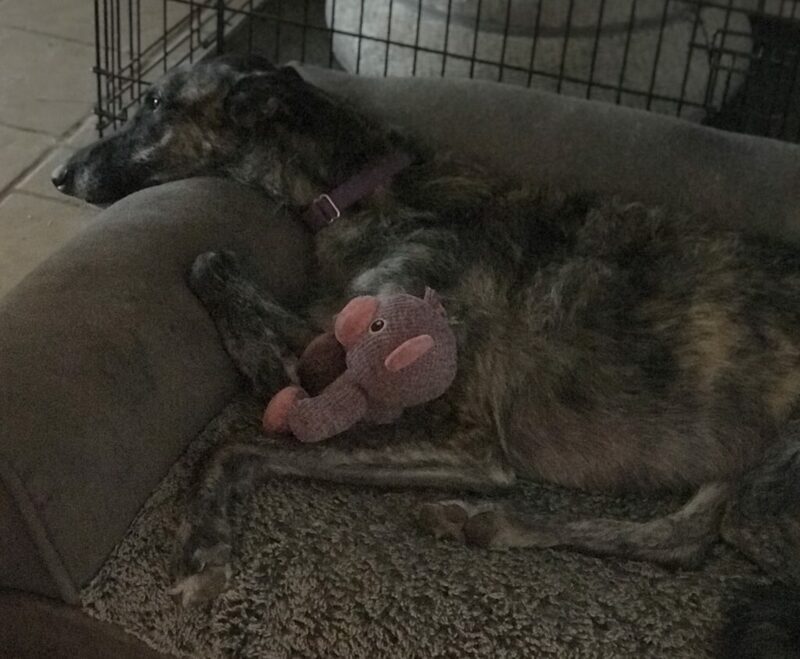 I’m planning to take Coco to a local English show tomorrow morning, perhaps catch a game of polo and get lots of work done around the house and farm this weekend. I hope you have a fabulous weekend!